Color:SBRN / SATIN BROWN. The various traits distinctively found adorned all throughout the Skechers SK 1504 are truly fascinating. The different options available for the Skechers SK 1504 exist to suite those looking for Eyeglasses specifically made for the right style and physical features. Color:SBRN SATIN BROWN. The various traits distinctively found adorned all throughout the Skechers SK 1523 are truly fascinating. The different options available for the Skechers SK 1523 exist to suite those looking for Eyeglasses specifically made for the right style and physical features. The various traits distinctively found adorned all throughout the Skechers SE 1598 are truly fascinating. The different options available for the Skechers SE 1598 exist to suite those looking for Eyeglasses specifically made for the right style and physical features. Color: SBRNTQ / SATIN BROWN. The various traits distinctively found adorned all throughout the Skechers SK 1502 are truly fascinating. The different options available for the Skechers SK 1502 exist to suite those looking for Eyeglasses specifically made for the right style and physical features. It has padded nose pads and cushioned part of temples near the end tip for added comfort. The Rene Lacoste Foundation supports and subsidizes projects throughout the world that enable children to have access to sports. Lacoste Eyeglasses. Lacoste Case (Color & Style May Vary). Lacoste Cleaning Cloth. Original Case Included. THE ITEM MUST BE IN ORIGINAL CONDITION. 100% Authentic. Each Pair has a Unique Serial Code. Color:SBRN / SATIN BROWN. The various traits distinctively found adorned all throughout the Skechers SK 1558 are truly fascinating. The different options available for the Skechers SK 1558 exist to suite those looking for Eyeglasses specifically made for the right style and physical features. Model #: 5573. NEW!Authentic NIKE Eyeglasses. Color Code: 218. Lens Color: RX Clear Demo. DEMO LENSES HAVE A " Nike " LOGO. EYE SIZE: 48 mm. You are looking at a pair of exclusive Harley-Davidson HDT107 eyeglasses. One thing you should never compromise when choosing the right Harley Davidson HDT107 eyewear for you is the quality of the eyeglasses. Gender: Boys. Lens Width: 47 mm. Color Code: BRN. Temple Color: Dark Brown / Tan. Bridge Width: 16 mm. Lens Height: 25 mm. Accessories: No case. We will resolve ALL problems. Color:SBRN SATIN BROWN /PINK. The various traits distinctively found adorned all throughout the Skechers SK 1509 are truly fascinating. The different options available for the Skechers SK 1509 exist to suite those looking for Eyeglasses specifically made for the right style and physical features. Adidas A007 Eyeglasses! style: A007. You are looking at a new pair of Adidas eyeglasses. This is an authentic piece of eyewear acquired directly from the manufacturer. They are not to be used with demo lenses (if included). OGI OK 104 is has edgy modern trend looks to may your child look extra- adorable. MODEL : HARLEY DAVIDSON 109. COLOR : BROWN. CONDITION : NEW WITH DEMO LENSES. CASE NOT INCLUDED. Dark havana (052 A). Lens material. Small size will fit children as well as adults with smaller faces. Model: Lacoste L2815 Eyeglasses. 100% Authentic. What's included. If no case is pictured in the photos with these particular glasses, then no case will be provided. It's a great way toSAVE! You must have new sunglass and/or prescription lens installed before wearing. New HELLO KITTY. Color:dark Brown-1. Adidas A010 Eyeglasses! style: A010. You are looking at a new pair of Adidas eyeglasses. This is an authentic piece of eyewear acquired directly from the manufacturer. They are not to be used with demo lenses (if included). COLOR :BROWN. SIZE : 49 17 130. CONDITION : NEW WITH DEMO LENSES. CASE NOT INCLUDED. 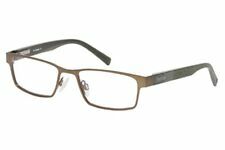 Jean Lafont Montana 582 44-18-113 Eyeglasses Kid's Made in France. Color Code 582. Model Montana. Gender Kid's. Made in France. Size 44-18-113. Color:Demi 1 (brown). New HELLO KITTY. Make Supersized Seem Small. Get Images that. NO case or accessories included. Hinges are springs and working good. This may also fit a child. Model: Lilly Pulitzer Amalie Eyeglasses. 100% Authentic. What's included. New Authentic Candies Girls Beau Eyeglass Frames Retail $125!!! You are looking at a pair of exclusive Ray-Ban RB1562 Eyeglasses. Model: RB1562. Color:3685 / HAVANA. Arms: Engraved logo Ray Ban signature on both temples. Save your money and get them here! The pictures cannot fully reflect the beauty of this piece of designer eyewear. Flexon Junior Terrain (210) Brown 46 x 18 130 mm. Model: Original Penguin THE ELLIOT JR Eyeglasses. 100% Authentic. What's included. New HELLO KITTY. Color:Brown 1.